You asked for it; you got it!! Stay tuned for the best party of the year at Hedonism. You can look forward to new daily events, pool parties & cool sounds, international entertainment, adult games you haven’t experienced before, 3 optional off-site adventures and more. Your Castaways contacts are the “Host Couple of the Century” Patti & Cliff from Tennessee, who will be there again to show you around, meet others and tell you how to make the most out of Hedonism and the week. Included in the team are also Sandy, Nicole plus John from World Exotic Travel, our co-host. 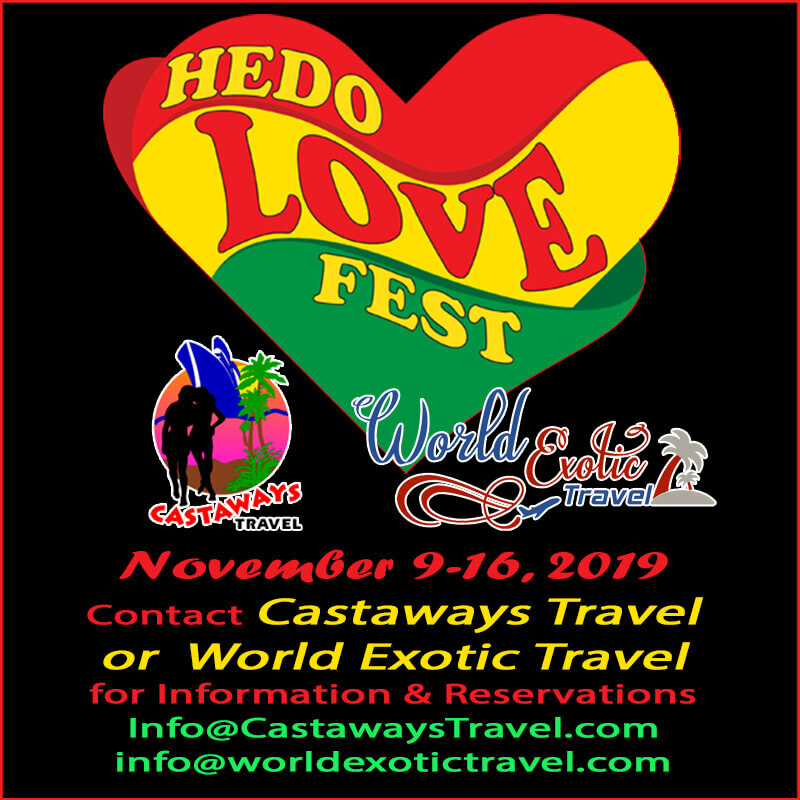 Hedo Love Fest is designed for the 30 – 60 crowd but if you love Hedonism then you will fit right in….as long as you’re 21 are over or at least act like it.